100 µl of in vivo-jetPEI®-Gal delivery reagent is sufficient to perform 15 to 25 intravenous injections in mouse. 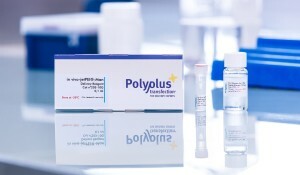 in vivo-jetPEI® is a powerful polymer based reagent used to deliver any kind of nucleic acid to target a wide range of organs and tissues in animals. in vivo-jetPEI® ligand-conjugated derivatives have been designed to enhance delivery to cell expressing specific receptors. in vivo-jetPEI®-Gal is a galactose-conjugated in vivo-jetPEI® designed to enhance delivery to cells expressing galactose-specific membrane lectins, such as hepatocytes bearing the asialoglycoprotein receptor (ASGP-R or Gal/GalNAc receptor). 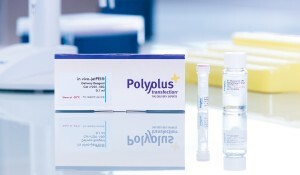 in vivo-jetPEI®-Gal is the reagent of choice to deliver any type of nucleic acid to mediate gene expression or gene silencing in various tissues, with enhanced targeting to liver. in vivo-jetPEI®-Gal is very versatile as it is suitable for the delivery of plasmid DNA, siRNA, shRNA, miRNA, oligonucleotides and mRNA. in vivo-jetPEI®-Gal is a very easy-to-use delivery reagent. The protocol consists in preparing the nucleic acid and reagent separately in 5% glucose solution, mixing them together and then, after a 15 min incubation time at room temperature, injecting the nucleic acid/ in vivo-jetPEI®-Gal complexes formed into animal (Fig. 1 ). 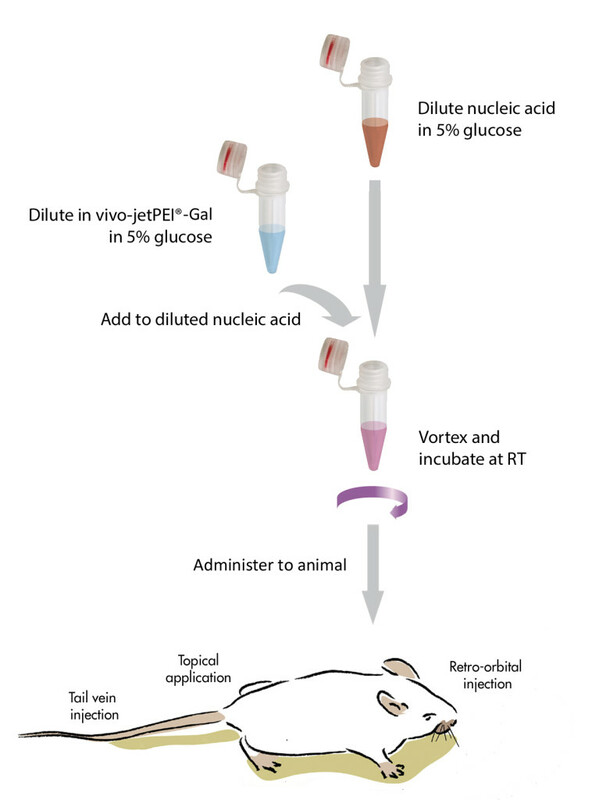 in vivo-jetPEI®-Gal is ideal for nucleic acid delivery in mice. However, the protocol is so easy and versatile that it can be adapted to other species including rat. 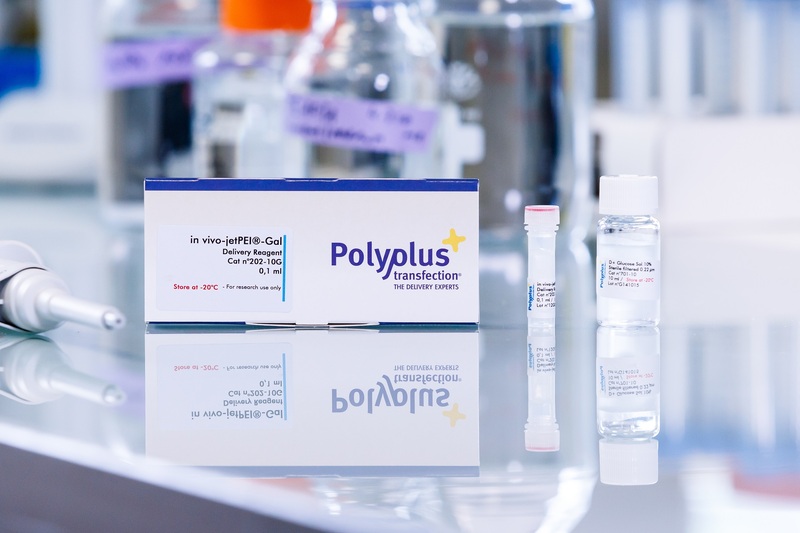 Our delivery experts are available to adapt our protocol to your animal model and provide you with starting conditions for your application (Please contact the technical support team at support@polyplus-transfection.com). in vivo-jetPEI®-Gal offers a reliable and safe alternative to viral vectors as it does not induce any significant inflammatory response. in vivo-jetPEI®-Gal is perfectly suited to study gene function in the liver in vivo and provides the easiest method for the validation into animals of in vitro functional studies. in vivo-jetPEI®-Gal-based nucleic acid delivery can be used for tumor growth inhibition studies in the liver. Here is a selection of relevant references using in vivo-jetPEI®-Gal, more are available in our Polyplus-transfection Database. Nickerson, H. D., Colledge, W. H. (2004). A LacZ-based transgenic mouse for detection of somatic gene repair events in vivo., Gene Ther 11, 1351. Xia, Y. J., Zeng, D., Xia, L. M., Yu, F., Lin, H. H., Zhou, L., Tian, D. A., Liu, M. (2012). Role of monokine induced by interferon-gamma in liver injury induced by hepatitis B virus in mice., J Viral Hepat 19, 509-1. 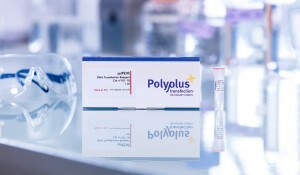 Polyplus-transfection® is ISO 9001 Quality Management System accredited since 2002; this level of certification assures global customers that the supplier has established reliable and effective processes for product development, manufacturing, sales and customer support. Each lot of in vivo-jetPEI®-Gal is validated by DNA (pCMV-Luciferase) delivery into mouse through intravenous injection. The amount of luciferase (ng) per mg of protein is indicated on the certificate of analysis for each lot of reagent. Moreover, absence of endotoxin is verified in every lot of in vivo-jetPEI®-Gal.